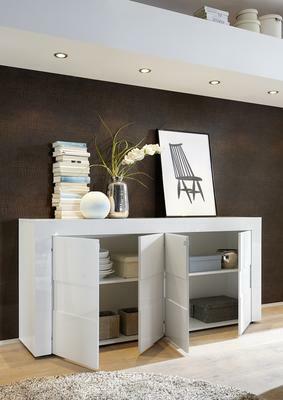 We are pleased to introduce the new Napoli Summer Collection Four Door Sideboard in Gloss White finish. 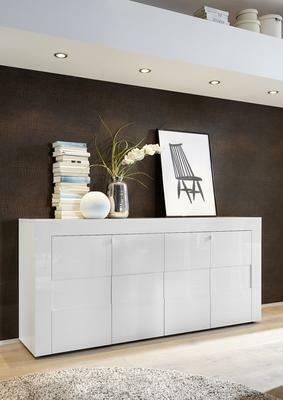 The Napoli Sideboard has four doors,two L +R opening and two from central point.The recessed design of the doors are contrasted by the white lacquered metal door handles further enhancing this modern design sideboard. 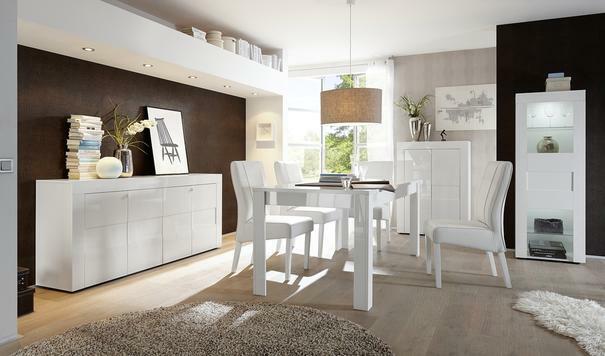 Finish: Gloss White. 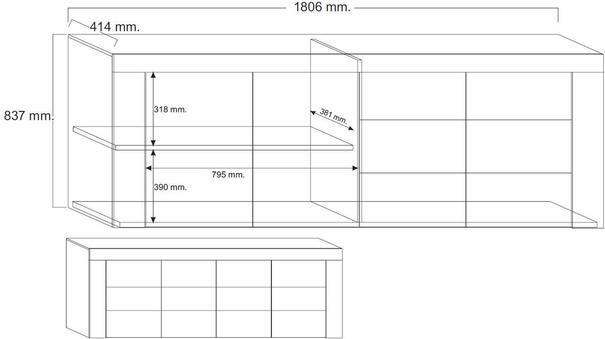 Also available White + Light Grey Slate finish doors.